PS IXL, 5th Floor, Room - 511, Kolkata, India. Shaping the realty landscape of India with world-class projects, Morias Infrastructure is Working in sync with the Prime Minister’s Housing Scheme, “Homes for All by 2020”, Morias Infrastructure is committed to deliver affordable homes to all. We have redefined the concept of affordable housing. 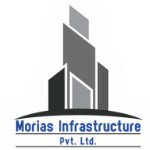 With its corporate office in Kolkata, Morias Infrastructure is a leading real estate developer in the Eastern part of India. We monitor and evaluate the progress from the time of construction till the delivery of the project to give best construction quality. We, at Morias have laid a foundation solely based on our core values, which are Commitment, Customer Satisfaction and Teamwork. With the Indian population on the verge of explosive growth over the coming decades and the middle age populace, demand in the real estate, is expected to grow manifold. So Morias Infrastructure has lined up many projects in Eastern India. We have started our journey from Jharkhand and soon became leading brand in construction world. Our vision is to create the ideal environment for people to live, to work, to grow, to thrive and to prosper for generations to come and help to build a better world.